We are looking for family sponsors, hole sponsors, raffle prizes, goody bag items, & volunteers! If you are unable to participate, please consider making a donation of any amount to the Financial Assistance Fund through the Golf Outing website. See below for details. Carved between the Catawba River, tall pines, maples, and oak trees, Carolina Lakes Golf Club is an 18-hole upscale golf facility just minutes from Charlotte’s Ballantyne area. With natural streams and several ponds, Carolina Lakes Golf Club is a challenging, but fair 7,024 yard, par 72 championship golf course designed by Golf Course Architect Tim Freeland and nominated for Golf Digest’s Best New Courses. With Bermuda fairways and G2 Bent Grass greens, Carolina Lakes Golf Club is a beautiful true test of golf. Please join us on Friday, May 10, 2019 for the 10th Annual CSA Golf Outing hosted by Charlotte Soccer Academy. Join other families, coaches, directors and supporters of the CSA community for a day of fun, golf and fundraising! Your registration includes all golf fees, a boxed lunch, beverages and an Awards Reception dinner. Registration and lunch start at 12:00 noon with a shotgun start at 1:00 pm. Dinner and awards will follow at 6:00pm. The event format is Captain's Choice and play will be from the white tees. Back by popular demand - $20,000 Hole in One Contest ~ Longest Drive Contest ~ Cigar Bar!! We will also be selling both mulligan tickets and raffle tickets on site to further support the Fund. If you cannot participate, but would still like to contribute, we accept donations in any amount. Donations benefit the CSA Financial Aid Fund and are tax-deductible. Click the DONATE button below! Golfers will also have the option to add a donation during the Individual or Foursome registration process. $600 Early Bird Registration through February 21st! $650 Registration February 22nd through March 29th. $700 Registration March 30th through May 7th. Event is limited to 32 Foursomes! Register Early! THANK YOU FOR ANOTHER GREAT EVENT!! Charlotte Soccer Academy would like to offer all of our golf participants, sponsors, donors, volunteers and families, a big THANK YOU for making our 9th Annual Golf Outing & Fundraiser, this past Friday, April 20th at the Golf Club at Ballantyne, a huge success! 128 golfers participated in a wonderful day of golf and fun. Over $11,000 was raised for the CSA Financial Assistance Fund. 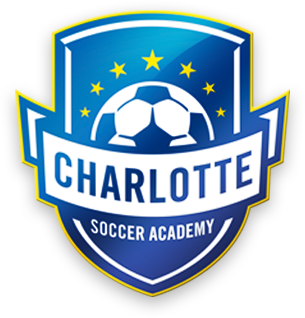 100% of these proceeds have been given to Charlotte Soccer Academy’s Financial Assistance Fund which gives children who would not be able to play due to financial restrictions, the opportunity to play our beautiful game.